At Solano Smile, you will experience the many benefits of a specialty-only private practice. All of their doctors are specialists who have completed a minimum of 2-3 additional years of residency training in their respective fields of expertise. 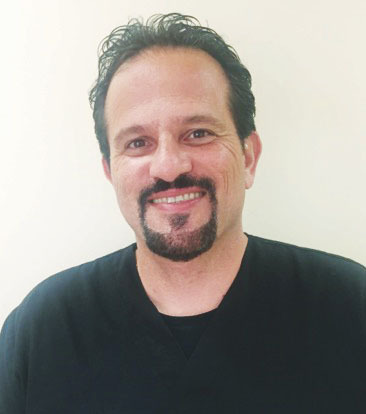 Dr. Ramtin Nassiri, DDS, MSD, specializes in Orthodontics for adults and children. He also treats patients with cleft lip and palate, and children requiring extensive dental treatment. Prevention is the main focus at Solano Smile. While offering a full range of treatment options, Dr. Nassiri highly stresses simple programs that may help avoid major dental work in the future. Dr. Nassiri encourages parents to start dental care early, and bring their children in as soon as teething begins, brush babies’ new teeth twice a day, and watch what they consume, and when. He recommends a visit to the dentist about every six months for a check-up and routine cleaning. Besides being a highly regarded dentist, Dr. Nassiri is also a teacher, and he educates his patients in prevention first. Basic maintenance and good habits are paramount. By addressing problems early on, Dr. Nassiri hopes to avoid more aggressive treatment later. As children age, Solano Smile offers general anesthesia as another alternative to parents of children who are overcome by anxiety or require extensive dental rehabilitation. General anesthesia results in a deep level of sedation in which patients feel no pain, and will have no memory of the proceedure. General anesthetics are administered by a credentialed an-esthesiologist, Dr. Joel Pederson. Solano Smile is set up to make a visit to the dentist a pleasant, fun-filled experience. Child-oriented decor, and even headphones and iPads attached to the examination chairs, are available to ease any stress. For information, make an appointment for a consultation. You won’t be disappointed. Dr. Nassiri’s interest in pediatric dentistry and orthodontics is deeply rooted in his commitment to improve people’s lives. He has over a decade of experience in children’s dental care and has successfully treated over 3,000 children under general anesthesia. He has also provided orthodontic treatment to several thousand adults and children. Dr. Nassiri completed his undergraduate studies at the University of California, Berkeley, and double majored in Mechanical Engineering and Material Science. He then worked as a refinery engineer. He changed careers because of his interest in patient care and serving his community. He pursued his dental training at the prestigious University of California, San Francisco, where he graduated with honors, ranking in the top tier of his class. He received his Orthdontic speciality training at the University of the Pacific in San Francisco.